I have come to realize that for me, gardening is therapy. I love it when, in the middle of February with the snow piled high and winter winds blowing, I pull out my pots, soil, and seeds and begin the next year’s garden. There is something wonderful about getting up to my elbows in earthy soil and watching as tiny plants pop up and begin to grow. Some people start seeds indoors because it’s cheaper, others because they grow special varieties. I do it because I need to combat the winter blues and remind myself that Spring will come again, probably sooner than I think. It’s not long until we start having deceptively warm days in March. They fool you into thinking Spring has arrived, but I know better! I just hours we’ll have inches, sometimes feet, of new snow on the ground. I love to take advantage of those days–after being pent up all winter, it feels so good to bend, stretch, and strain as I refill my beds and prep them for peas and onions. I generally avoid exercise (unless you count chasing an active 5 year old boy), and I end up being sore for a week. But, it’s a good, happy kind of sore. Soon comes April, and I get so excited to buy new seeds, spending hours trying to decide which varieties will grace my gardens again, and which will make their premier. Even after planting seeds and starts, it can be hard to believe anything is really happening underground. Gardening takes a little faith. A great gardener I know once told me “Don’t worry, those plants want to survive. You don’t have to DO much, just LET them grow.” And it’s true–every little seed comes programmed to become a plant, and will do all it can to get there. In May, gardening begins in earnest. Of course some seeds, starts, and transplants are already in, but they are still small plants and nothing is producing yet. But week after week a new type of seed can be planted (so exciting! ), and this is when I switch from hand watering to irrigation. I love the hours I get to spend outside, getting freckled, and working quietly while my son plays nearby. Hands in the dirt, sun on my face–it’s hard not to feel more grounded and connected to the earth. Now, one thing you need to know is that I have farmer blood in my veins, but I’m living in the suburbs. That’s the reason I do square foot gardening–I simply don’t have room to do more. But there is a part of me that wants to till up my entire .20 acre and really go for it. I planted two peach trees this year, but we don’t seem to have the space for the raspberry bushes, grape vines, apple, pear, and cherry trees I want. And that doesn’t even consider the chickens (yes, I want to build a chicken coop and eat the eggs). My grandfather passed away just shortly after harvesting all his potatoes and cabbages. He had recently put a bunch in my mom’s car to take to the local soup kitchen. A few hours later he had a sudden heart attack. As my mom drove around making funeral arrangements, she could hear the cabbages rolling around in the back seat. I can’t tend my potatoes or water my carrots without thinking of him. I just realized that he is why I grow cabbage. Who eats cabbage? Now it’s June and I’m in heaven as I harvest peas and spinach. I love visiting my garden every day, stopping to check on every plant to see how it’s growing. I poke around my onions to see if the bulbs are growing (they are!) and I’m amazed that my garlic shoots are looking less green and from what I can tell, there are full heads of garlic under there! My son is ecstatic when I let him pull a half-grown carrot and eat it. I must admit, in July my devotion wanes. It’s the heat. So hot. I still visit (in the evenings, while my son jumps on the trampoline and my husband plays guitar and sings quietly), but often it’s just functional–to harvest, support, water, replant. Gardening is just less romantic when you’re pitting out (that’s a really refined way my sisters and I describe when you sweat until you have big rings of wetness under your arms). I love my garden, I do, but by July I’m getting tired of it. And I don’t even have to weed! I can’t imagine the poor weed-garden people. August comes and I force myself to plant some fall crops. It’s still really hot, and I’m officially “burned-out”. The good news is, harvest is in full swing–I’m bringing in arm fulls of tomatoes, peppers, and green beans. At some point we get to get to eat the carrots–they are so, so sweet and delicious. And we start digging up the potatoes for a family delicacy, potatoes-tomatoes-and-mayo. Fresh potatoes cut into chunks, boiled or steamed, topped with home-grown tomatoes, and smothered in mayonnaise. Soon I am canning salsa! My cousin and I work together and divide our spoils–it reminds me of the “olden days” of quilting bees and barn raisings. Women, getting together while the children play and get hotter than Hades as they chop, mix, boil, and seal up the jars. Man, I HATED doing all this stuff when I was a kid, and now I can’t resist it. This year I hope I can do some pickles. Pretty soon I’m going to be entering stuff in the county fair! September is one of my favorite months. The heat subsides, and the peaches are on. I can at least 2, sometimes 3 dozen jars. Nothing is better than my mom’s peach pie recipe, made with home-canned peaches! The squash and pumpkins are almost ready, and I get a little sad, as, square by square, my garden is pulled up and the harvest is over. It’s a relief, but I know I’ll miss it soon. Because soon the snow will come, the ground will freeze, and I won’t be able to wait until it’s February again. Oh, yes. And it IS the MOST DELICIOUS peach pie ever. I might just have to make it so I can take pictures. . . . poor me! Em, I love you! You are an amazing blogger. I almost started crying reading about Grandpa Stan. You are so eloquent with your wording. I think you should add some vampires and wolves into your blog and then sell it! This was an absolutely amazing post. Thank you so so much for sharing! I am so happy I stumbled across your gardening advice and we did the square foot garden and made our own mel’s mix and I am proud to say we have had success with green beans, zucchini (alot), and broccoli. Our swiss chard didn’t make it…moment of silence and our carrots, strawberries and melons didn’t ever grown anything but leavs…but the corn looks to be making a come back. We are moving soon and I am wondering what I can plant this August in containers for the springtime? I love your blog! Your post was so beautiful. Thank you for sharing! I absolutely loved reading about your musings on gardening as therapy. I’m so sorry to hear about your grandfather’s passing. God bless him. My husband is going to build me some garden boxes and your posts on how to be a square foot gardener have been very helpful in planning things out. I’m very new to gardening and I think a square foot garden is probably the way to go! Thank you for this post, I really enjoyed reading it. I’m a beginner SF-Gardnerer in Alaska (I know – of all the places I get to learn about gardening in cold AK) and your blog has helped me get excited about it. I started late so my squares are still pretty empty, but I’m starting to see some green! Anyway, I just wanted to share the fact that I’m always looking forward to going outside in the morning to water the plants and flowers and see the progress. I love my little time alone with my garden (the rest of the time I’m chasing a 3-year and 1-year old girls). Thank you for making my learning easier by sharing your advice and experience. What a lovely post. I am beginning to settle more and more into being a gardener. It used to intimate me but as I have learned to let go and see each planting as an experiment rather than expectation, it has become therapy for me and has brought me great joy. 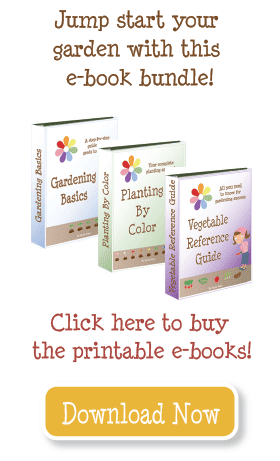 Thanks for your blog as it is helping me develop my gardening skills. Would you mind sharing your mom’s pie recipe? I have canned peaches from last August that I would like to use so I can can more this August! Absolutely beautiful post. I completely believe that gardening is great therapy – and quite inexpensive when you consider how much conventional therapy costs. A few weeks ago I was getting ready for my first six month post cancer check up. I get a little crazy the week of a check up, after all chemo and radiation were important but painful experiences. I spent a lot of time in my garden that week and one night I asked my husband, “Are you glad I took it out on the garden?” He just smiled and hugged me. Anyway, I’m 33, mother of two, 2.5 years cancer free, and enjoying my garden more and more each year. Thank you for all your work on this blog – my mom, sister, and I all follow it and we live in Hyrum, Layton, and Payson.